Picture from simon3 : Truskmore from Cope's Mountain. Picture: Truskmore from Cope's Mountain. 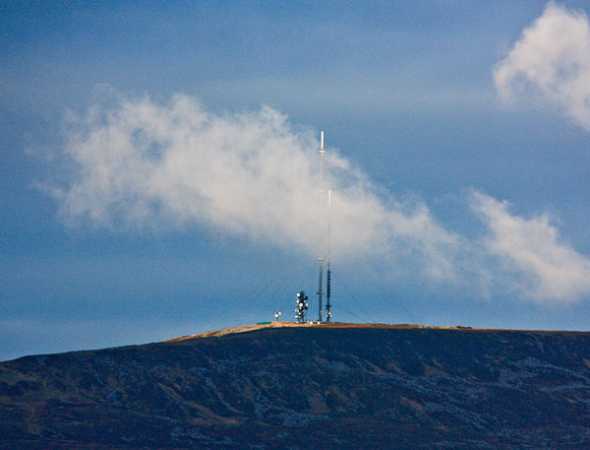 Some years ago there were two TV transmission masts on Kippure in the Dublin mountains while one was being replaced by another. As of Dec 2009, RTE seem to be in the process of making the same change on Truskmore. Certainly at the top there is a mass of cables and heavy gear and the two masts are very visible.